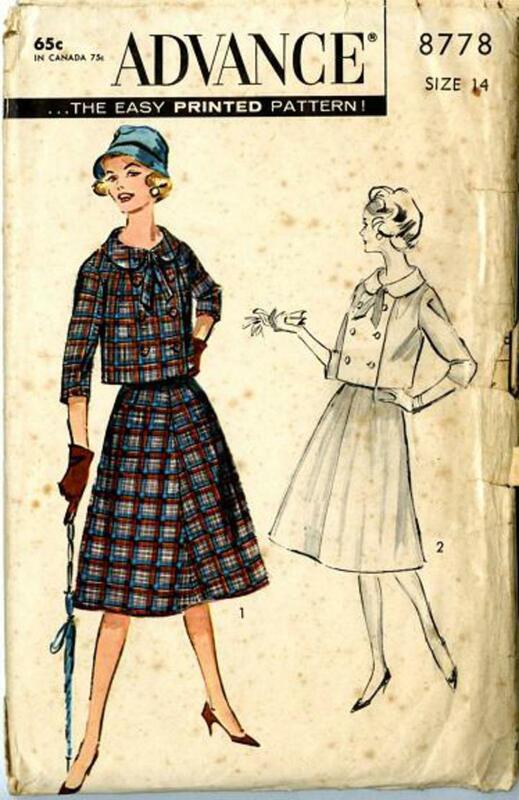 1958 Advance #8778 vintage sewing pattern, misses' trapeze suit, skirt and box jacket, size 14. Trapeze suit, lined jacket, double breasted, is dart-fitted at front neckline. Standaway shaped collar, self tie. Below-elbow sleeves, lined skirt, flaring, four-gored has soft fold at side fronts, dart-fitted back.